EDITOR'S NOTE: The Patriarch of Constantinople has voiced plans to give a "tomos of autocephaly" to the church in Ukraine, even though the Ukrainian Orthodox Church made no such request, and even though the Ukrainian church is not under his authority. These events have caused a church split between Constantinople and Russia. 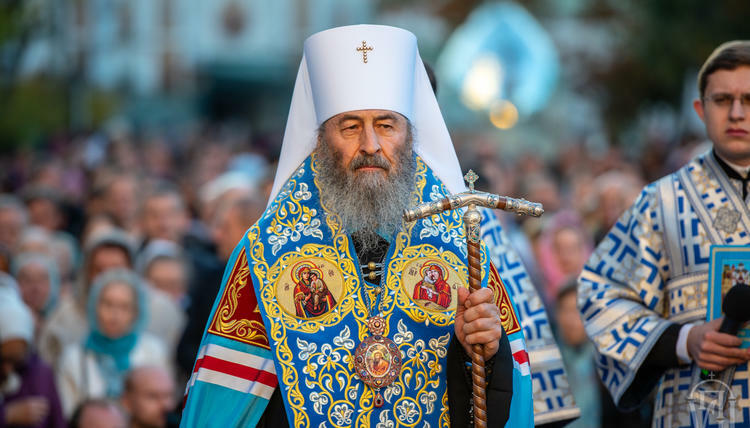 Metropolitan Onufriy — the head of the Ukrainian Orthodox Church — says that the church in Ukraine already has freedom and independence, and that he does not want a "tomos of autocephaly" from Patriarch Bartholomew. His public statements are included below. "Preserving the purity of faith, we retain the hope of salvation," said His Beatitude Metropolitan Onufriy. "Each person should search for his own personal Tomos, i.e. strive to get rid of sin." This was said on October 23 by His Beatitude Metropolitan Onufriy of Kiev and All Ukraine in his sermon after the service at the Cathedral of All Saints of Volyn in Lutsk, reports VolynPost. Vladyka Onufriy emphasized that today it is necessary not to look for something extraordinary in ourselves, but to preserve what our ancestors lived with and keep to the faith they defended. “As regards prospects of receiving the Tomos . . . we already have independence and all freedoms – administrative, ecclesiastical. We do everything as we see fit. Besides, we have prayerful ties with all the Orthodox community: from Russia, from America, and from Greece. And these ties should not be broken,” said the Primate. The Archpastor emphasized that each person should receive a personal Tomos, i.e. freedom from sin. On 23 October 2018, the Primate of the Ukrainian Orthodox Church, His Beatitude Metropolitan Onufriy of Kiev and All Ukraine made an archpastoral visit to Volyn, where he led the Divine Liturgy at the Cathedral of All Saints of Volyn Lands in honor of the Dedication day.